It’s Sun ‘n Fun Week! Can’t believe it is already end of December, 2014 sped by too quickly. If 2013 was incredible, 2014 was even better. I love to sneak in a flight on New Year’s Day when I can, which was rather easy to do back in California, but not always possible out east. 2014 is the exception during the last five years. Weather was gorgeous and Just like that I hopped on a plane and flew. January was also the time to prepare for the upcoming Bahamas flight and I got both, IFR and night current. February was all about the Bahamas. 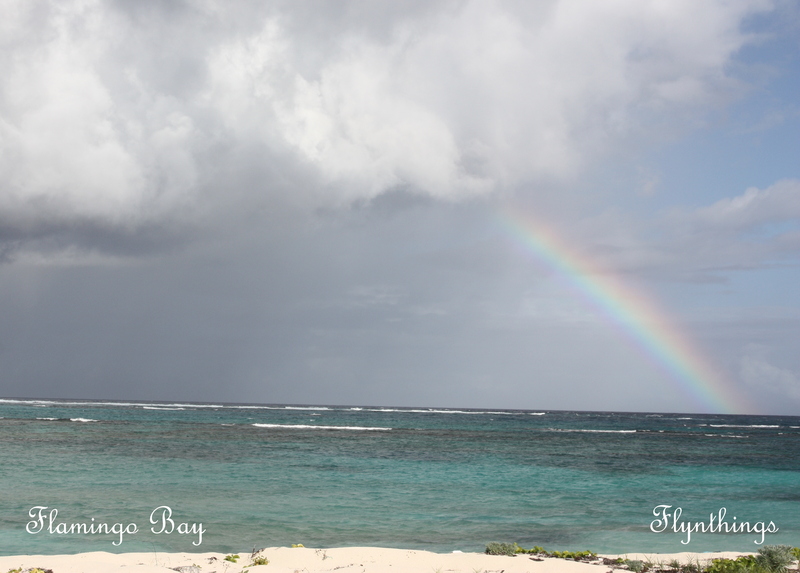 None had any misgivings about leaving behind the arctic chill and spending a few days in a Tropical Paradise! This year 9 airplanes and 22 people made it there, not without some misadventures with IMC conditions and bingo daylight operations. 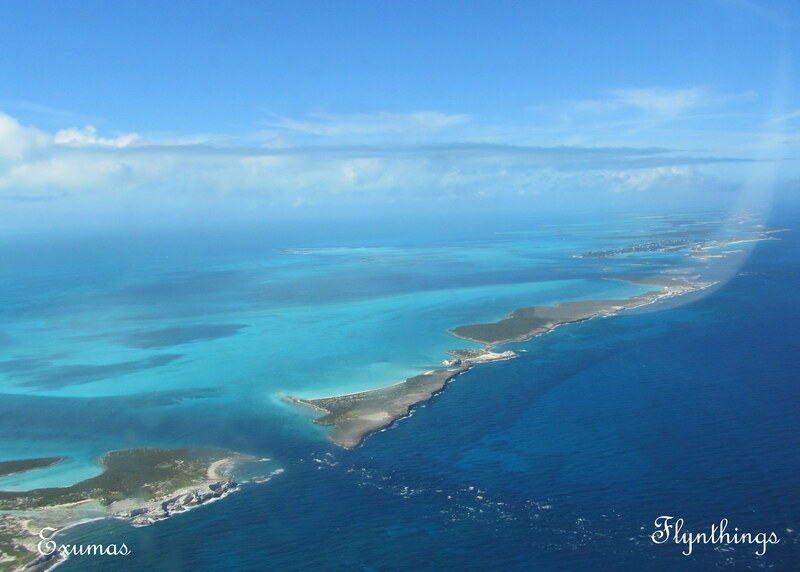 Only VFR operations are allowed at almost all the Bahamas airports. This year, I landed at 8 airports on 8 different islands. March means Spring and Springing forward to longer days and warmer weather. The weather last winter was confused and lost. First it was cold and then it was warm unable to decide what it wanted to be. Four days before the official arrival of Spring, it snowed. 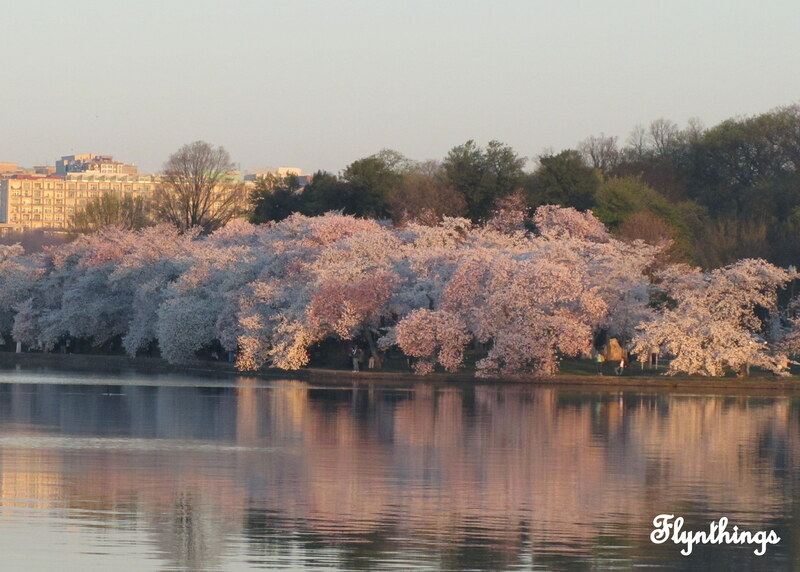 The arctic chill continued through most of March, delaying the Cherry Blossoms. But bloom they did eventually! April is the time to put winter behind. Days are finally lengthening, Green is everywhere as the Earth rejuvenates and springs to life. This year, I made it to my first Sun ‘n Fun event. Almost lost control of the aircraft, flying low and very slow behind an even slower tailwheel. Fortunately all ended well. I also got the opportunity to visit DCA Tower. While I have attended several Class D airport towers, this was my first Class B airport tower visit. We even got to witness two honor flights from the catwalk! I was preoccupied with Loss of Control (LOC) in flight, i.e. since Sun and Fun, and coincidentally in May NTSB hosted a day of several seminars on the topic. Incidentally NTSB, FAA, AOPA, SAFE, and Aviation Safety have chosen LOC as the primary focus area for GA Safety. Currently LOC remains the chief reason for most GA accidents. 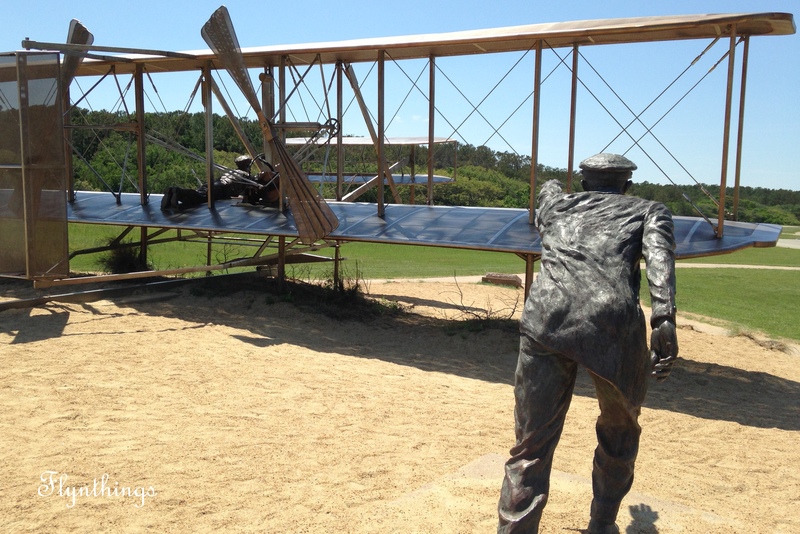 May was also the month, we revisited the birthplace of Aviation: Kitty Hawk. 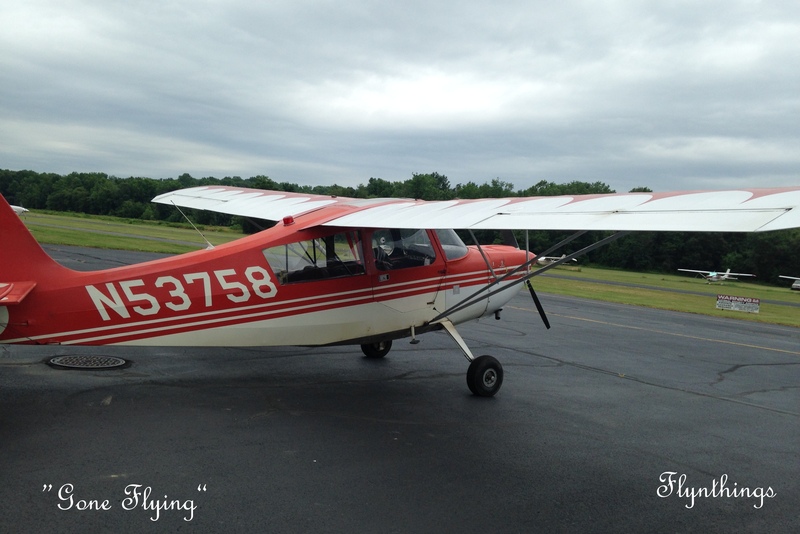 In June I decided to rejuvenate my love for tail wheel flying and started flying the Citabria at Potomac Airfield. 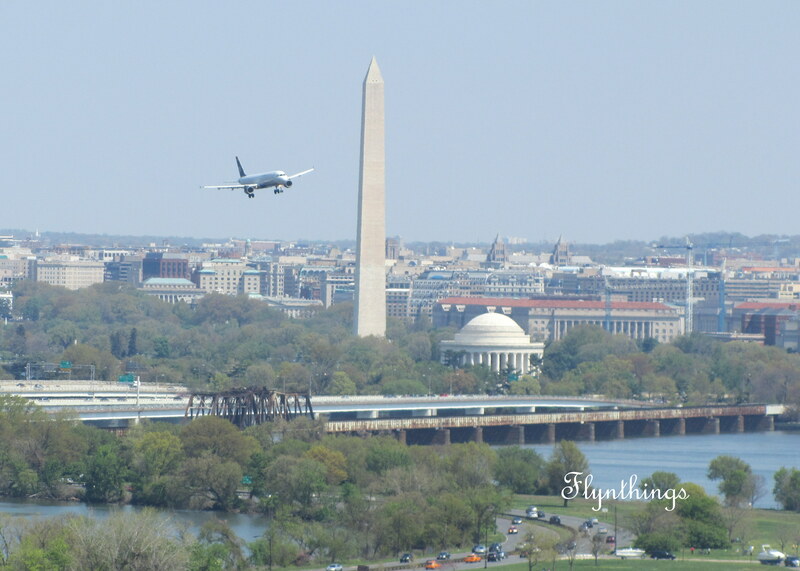 The Citabria is a fun aircraft to fly and Potomac Airfield, a neat little field tucked inside a residential neighborhood and inside the FRZ. Flying tailwheel again and learning aerobatics is something I have thought about since I obtained my PPL. 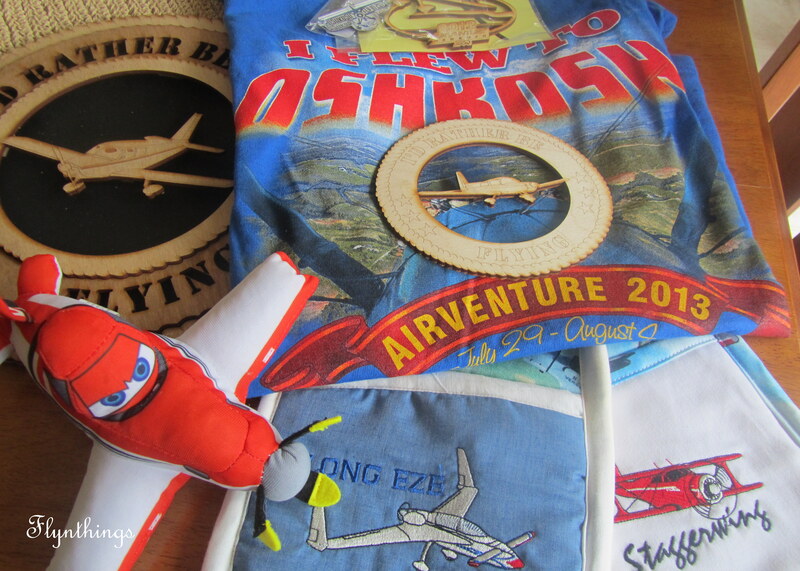 End of July and early August is always about Airventure and Oshkosh. It was fun to fly-in again spend more time at Oshkosh this year. This years fun ride was a helicopter ride out of Pioneer airport. 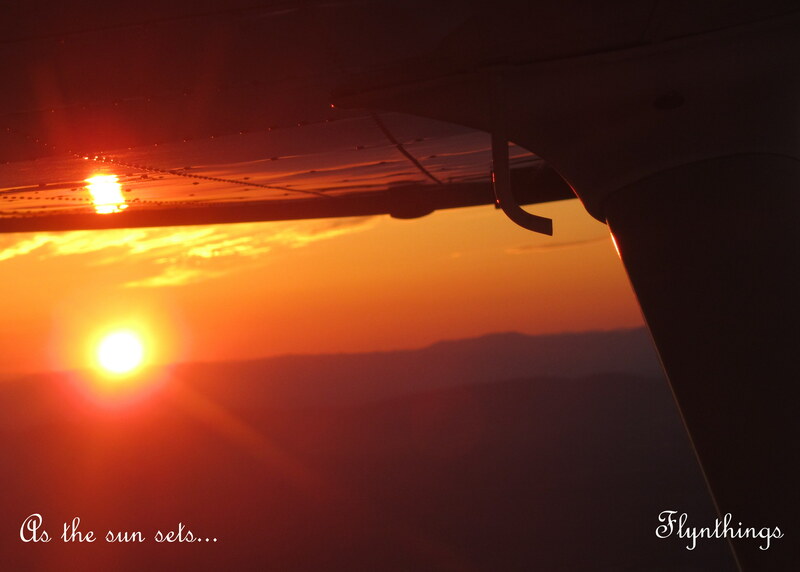 It was in August, that several of us decided to get serious about the Virginia Ambassador Program with an aim to fly and land at most VA airports.September continued with more fun flying the Citabria, doing aerobatics and some really Grass landings! October, the weather messed us up again. I didn’t fly at all. We almost thought we would make it to Niagara, but failed, yet again. 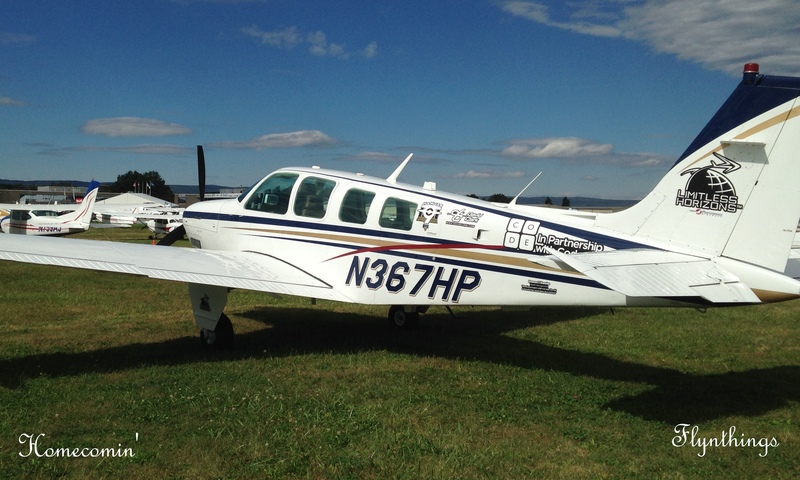 I volunteered for my first AOPA event. While we didn’t get a chance to fly, we drove and picked up four more stamps: 2 airports and 2 museums. November was terrific! I flew both the tailwheel and with the group for more VA stamps. And finally took the plunge to start writing my first novel. 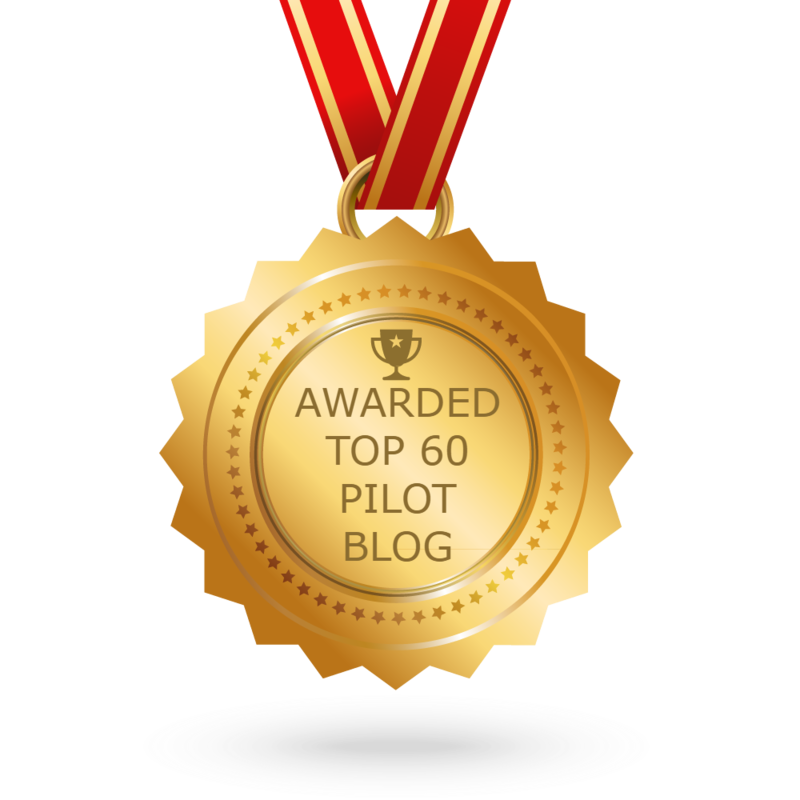 I challenged myself to 50,000 words during NaNoWriMo and didn’t quite succeed, but still had a blast and hope to continue writing at my own pace till I finish, sometime in 2015. We have been having ups and downs with weather. December continued the roller coaster ride. I made the trek to KSC for another rocket launch. 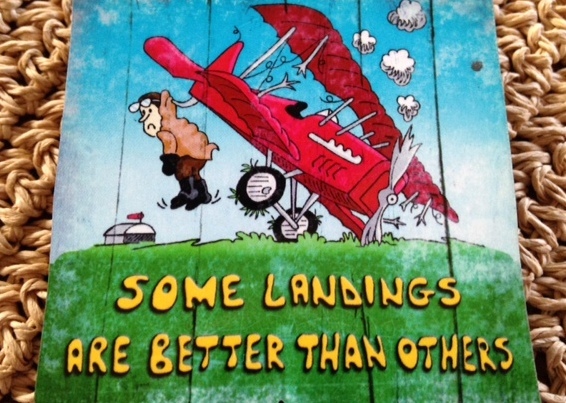 I finally got my tailwheel sign-off, more stamps and finalized new goals for 2015 (not all flying) and beyond! Have a very Happy New Year and all the Best Wishes for 2015! 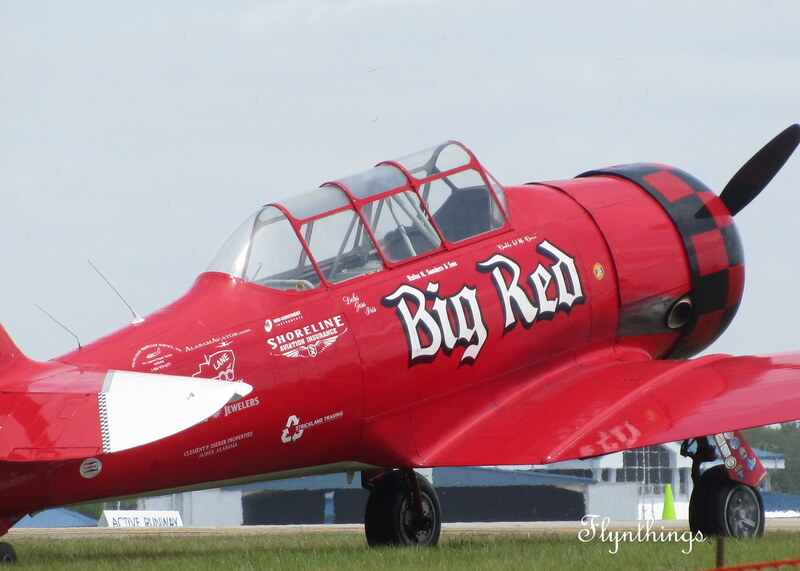 Now that I have flown both the Fisk Arrival into Oshkosh during Airventure and the Lake Parker Arrival into Lakeland during Sun ‘n Fun, I have had time to reflect on the two. Both arrivals are well documented in a published NOTAM, ahead of time, and available so pilots can plan, and prepare for the arrival. In the case of the Fisk Arrival, there are numerous videos available on the EAA Airventure website. Flying the arrival for the first time last year, I read and re-read the NOTAM, watched all the videos, fretted and felt excited, and eagerly awaited the experience. 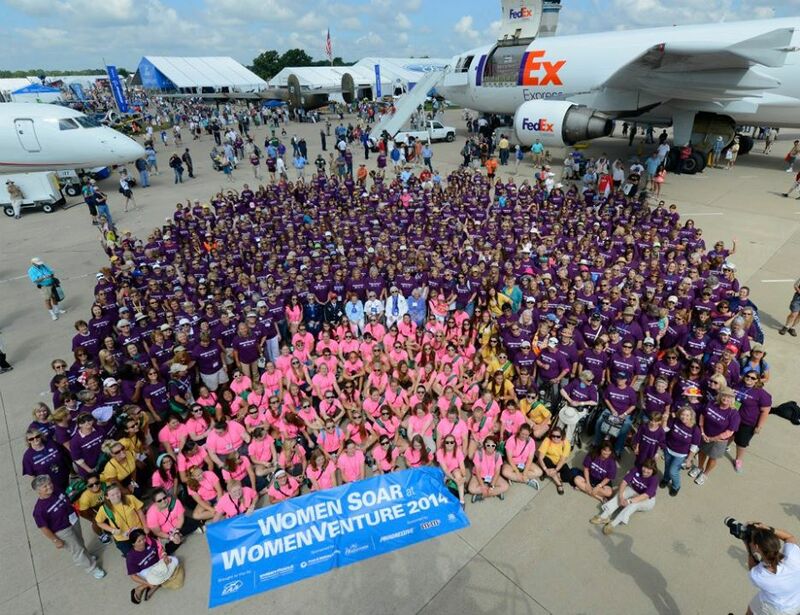 Despite our expectation to arrive in Oshkosh on Thursday evening, we did not get there till Saturday morning. Executing the Fisk Arrival ended up being a lot easier, than what I imagined or prepared for. There are far fewer aircraft arrivals towards the end of Airventure. Further, the number of arrivals early in the morning are far fewer than what one would expect in the evening in the middle of the week. Still there was enough excitement and nervousness to keep me alert. The Lake Parker Arrival, on the other hand, was a whole different matter. 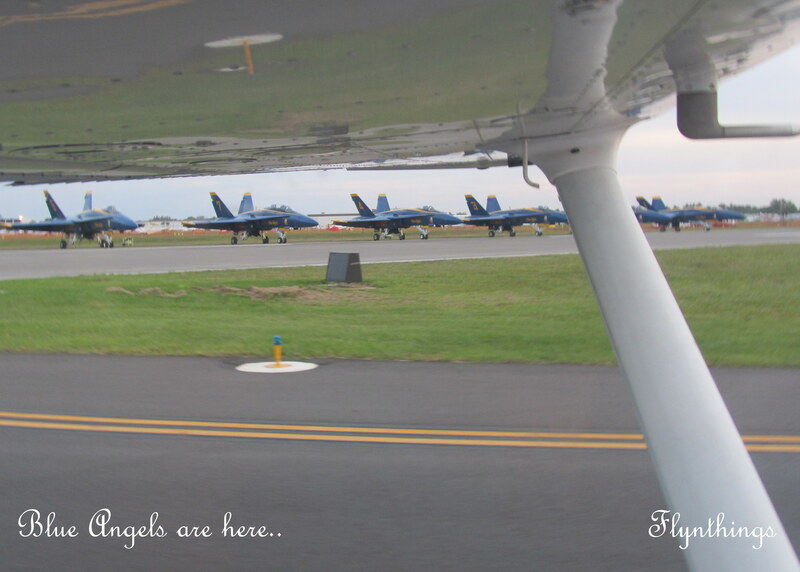 Arriving during the middle of the week, in the evening, meant, there were hordes of other pilots doing exactly that! Even as we departed Leesburg International Airport (KLEE) around 6:00pm, our Traffic Advisory System started to pick up innumerable aircraft, all headed in the same general heading, and, at the same general altitude. Since it is almost difficult to identify traffic visually most times by looking out the window, our chances here were even slimmer. A few miles from Lake Parker, one by one the aircraft disappeared from our display, as did we, likely from there’s, when we got within 3nm of Lake Parker. We were in the blind. There is a VFR fix called VPKER over Lake Parker. A stranger (pilot of course) we ran into at Berkeley County (KMKS) earlier in the afternoon had stopped by to speak to us and give us some tips when he heard we were headed in that direction which was an extremely useful clue to making the Lake Parker Arrival. Next useful clue came from Conor from our Flight school, as we briefed the procedure at KLEE. He indicated, he would angle more east and approach the lake from the east, giving him a view of the aircraft over Lake Parker. In the the end that is what we did. And it proved that is what ATC expected. Especially considering there were multiple aircraft starting to arrive from all directions, and holding was in place for the next 45 minutes to an hour! ATC communications were a lot less easy to follow at Lakeland. I think I rocked my wings a lot more times than I was asked to. Frankly how do you know you are not the high wing ATC is talking to? Considering there might be 4, 5, 6 or more at the same time? But I let ATC worry about that. They seem to excel at what they do… Can you imagine monitoring hundreds of aircraft, different types, different speeds, and talking to them saying “Champ do this”, “High Wing do that”, “Mooney put your gear down” etc? Ultimately, it all worked out well. I followed my lead aircraft, all the way to the runway. There was a brief moment when we forget what the procedure was to follow after all the holding. Luckily, I chose to worry less of the NOTAM and procedure, but followed the lead aircraft. There was a brief moment, when I let my guard down and almost stalled. But we fixed it and made it down safely. All kudos go to the ATC who support Sun ‘n Fun and Airventure and make it a safe, fun and easy to arrive at, during a congested flyin event! 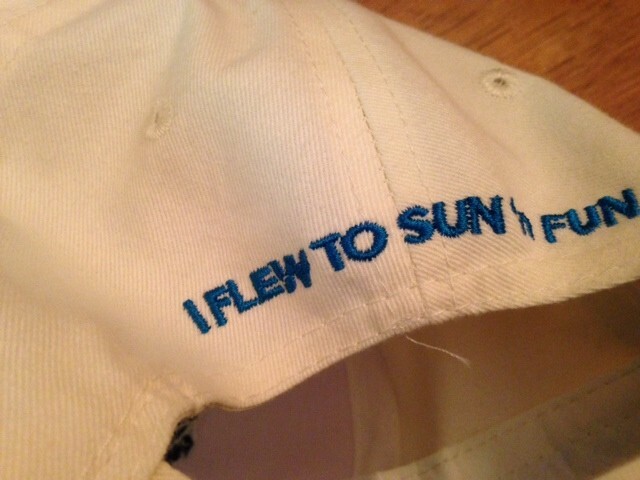 This year marked 40 years of Sun ‘n Fun. 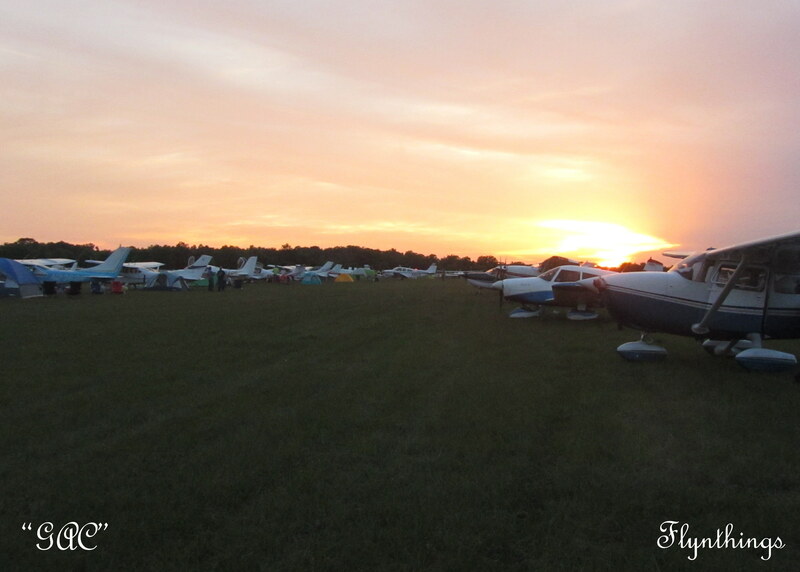 I know Airventure is a whole lot busier, especially during the evening, and during the week! Yikes! I Almost Stalled over Lakeland! 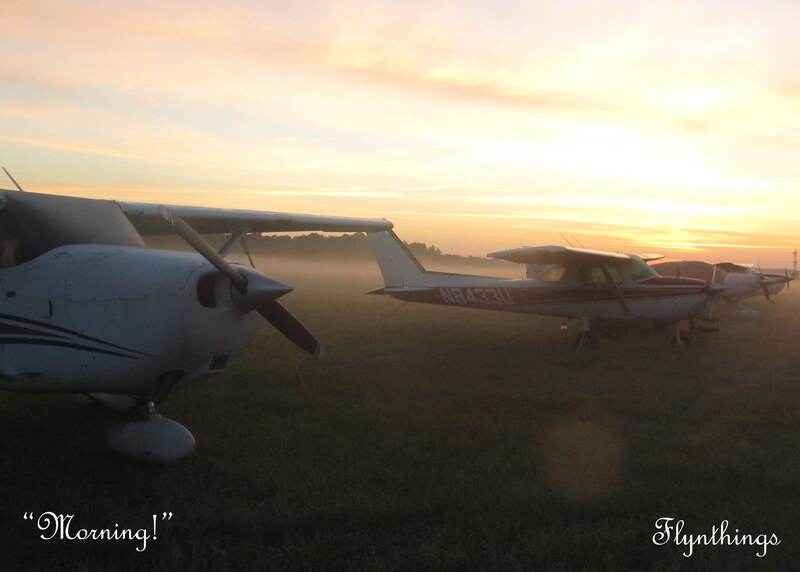 “Aircraft arriving over Lake Parker, expect holding until 7:15 pm over Lake Parker,” was what we heard on the radio a few minutes after our planned group departure from Leesburg International Airport (KLEE) in Leesburg, Florida. Four aircraft from the Mid-Atlantic had made it easily, albeit, at different times to our chosen airport of rendezvous. Considering the aircraft in play: a Columbia 400, a twin Baron, a Cessna 182 and a Cessna 172, we definitely needed a rally point to meet, prepare, and plan a departure to Sun ‘n Fun (SNF). According to our original plan, we had all congregated at KLEE, briefed the arrival procedures and departed on cue around 6:00pm. 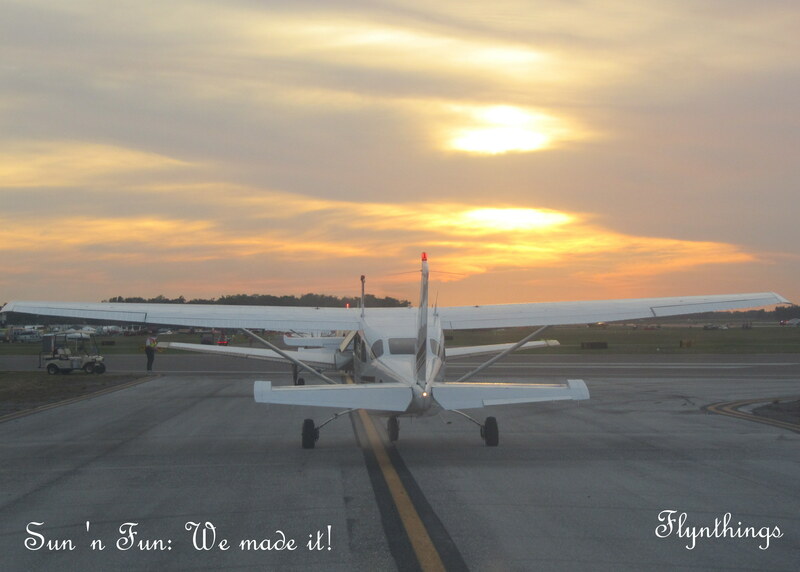 The plan was to arrive at Lakeland Airport around 6:30pm for a group arrival. Being the slowest aircraft of all, a Cessna 172, we had departed last. Hearing the SNF radio communications, Linda and I, pondered our options. We tethered between proceeding to our destination despite the holding, to diverting to an alternative airport such as Winter Haven Airport, a short distance away. With holding in place, we had no choice but to merge in with the holding aircraft and find a lead aircraft to follow at 100 knots and 1,200ft. One loop down, there were more aircraft arriving. Soon I was following a different aircraft. “Keep it tight, Good job y’all, you are making my job easy,” comforted the Air Traffic Controller. On, and on we looped at 1,200ft and 100 knots. Occasionally I had a random aircraft sneak in between me and the lead aircraft. One such followed, fell back and stayed at the center of the lake, sometimes getting between me and my lead, and confused the hell of me! “High wing holding over Lake Parker, turn right now and proceed,” said the Controller. I quickly turned, and followed the tail wheel ahead of me. While we read the 37 page NOTAM ahead of time, we were a little fuzzy on the procedure after holding. Optimistic as always, I hadn’t thought about the steps after holding. It was easy to forget what we needed to do after looping around at least 10 or more loops around Power plant and Lake Parker! “Follow highway 4 for 3 miles before turning south between the white water tank and the upside down cake tower, follow south for 3 miles over the “V” shaped building and continuing out to the blue topped terminal building before turn right for a landing on the skinny runway, monitor Lakeland frequency on 119.60” repeated the Parker Approach controller. 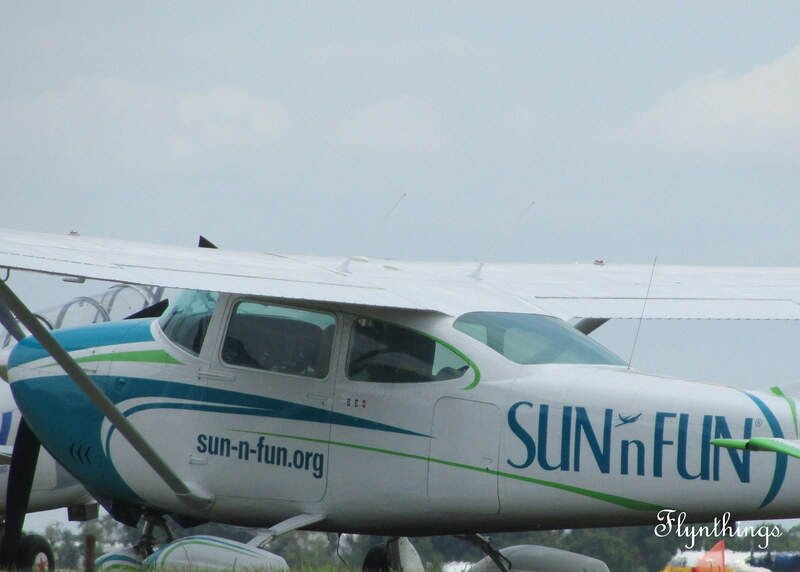 Unlike Oshkosh where you are specifically cleared, here at Sun ‘n Fun, it was more follow the leader. During planning, I fretted about whether I would be cleared to hold or not be able to identify the leader. It all worked out eventually. In fact incredibly so. 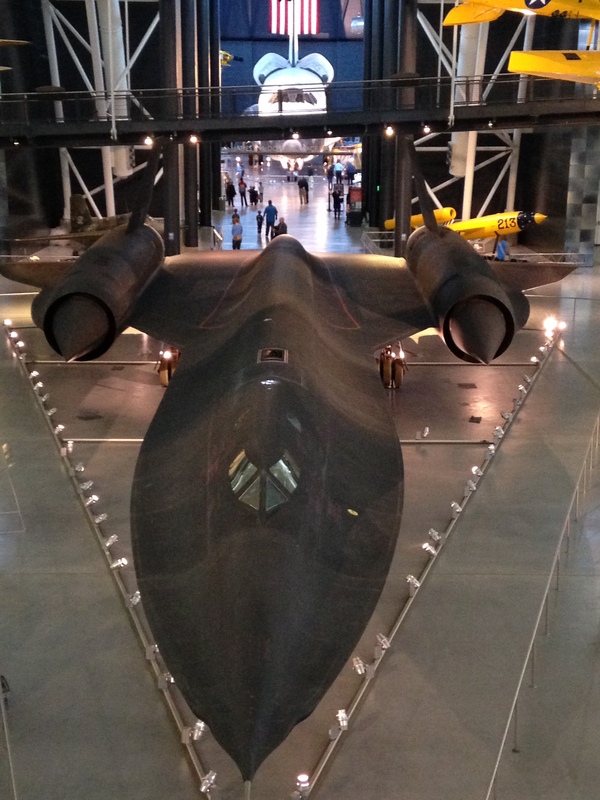 There were three different holds: one over the power plant at 1200 and 100 knots, one at 1,700 and higher speeds and one north of the power plant at lower speeds. After some holding, some aircraft departed to nearby destinations for fuel emergencies. There was even one amphibian that chose to land on Lake Parker and wait it out! Ultimately considering the number of aircraft holding, I was glad that we opted to proceed and hold at Lake Parker. There was no way we could have made it to Lakeland, if we had landed at an alternate airport and returned later. Once cleared to follow the high wing taildagger, we quickly followed the aircraft, slowing down and followed instructions to follow and land on the orange dot. The orange dot in Lakeland is ¾ of the way from the threshold. The taildagger, low and slow. I slowed down as much as I could. I continued to check my airspeed, altitude and the spacing with the aircraft ahead of me. It was a matter of seconds. One moment I was 69 knots, hand on throttle ready to do a go around, since the orange dot was ways away and I was getting too close to the taildagger and the next I was dipping right and swaying uncomfortably onto the parallel runway! A moment’s distraction was all that was needed. After almost 14 years of flying, having never stalled an aircraft unintentionally, here I was stalling on final at Lakeland during Sun ‘n Fun! I was lucky to have an alert pilot in the right seat, who quickly noticed we were at 50 knots and dipped the nose to get us out of an inadvertent stall. I took over, stabilized and paid better attention than be distracted with the happenings on the parallel runway. We landed safely just barely on the orange dot and followed the stream of aircraft arriving ahead of us and taxied the long distance to the other end of the airport to the General Aviation Camping site just as the sun set. 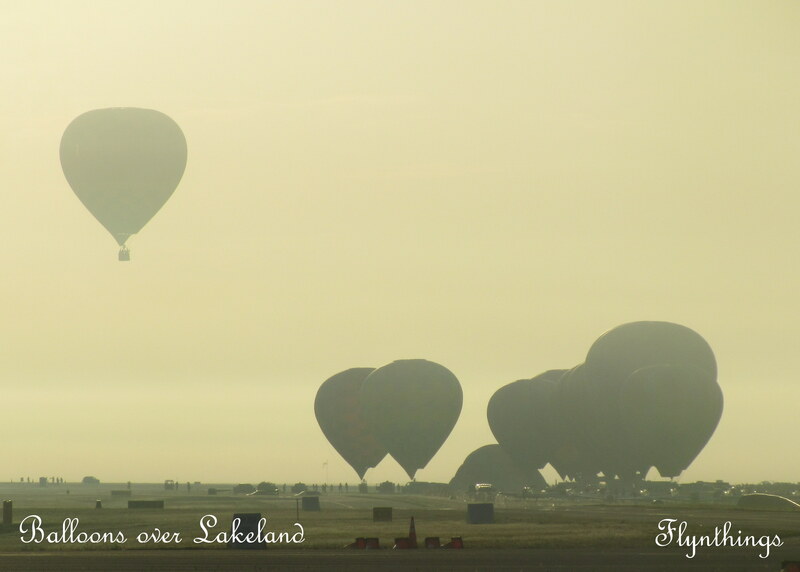 The weather at Lakeland was expected to be gorgeous the next few days. So I had no worries about our camping there. Despite my fear of mosquitoes, our first night of camping ended with no difficulty. Friday morning arrived with some low fog. I couldn’t believe that for a change we had arrived as planned on the intended day! 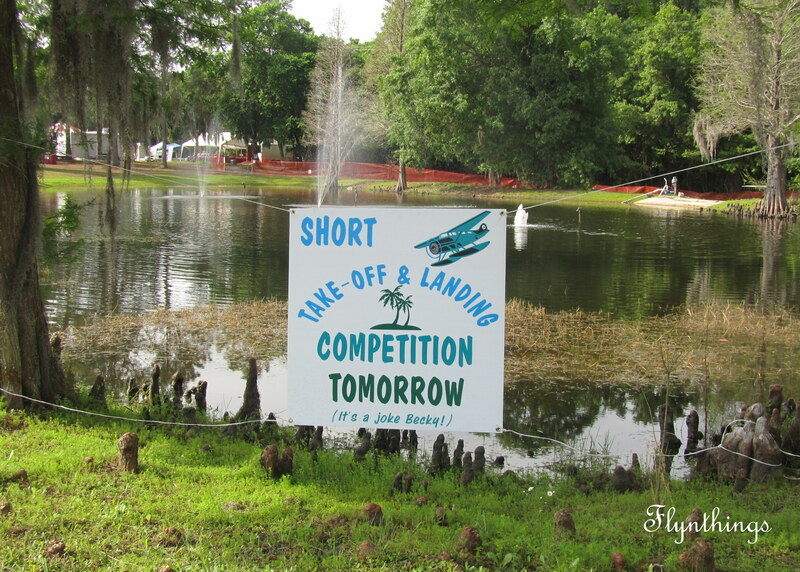 We hoped to have two full days at Sun ‘n Fun: two afternoon airshows, one night airshow, seminars, workshops, aircraft display, Florida Air Museum and if possible Fantasy of Flight. First off let me tell you, once we landed, I realized that there are no bathrooms at Sun ‘n Fun, just portable Johns or Port ‘o potties! 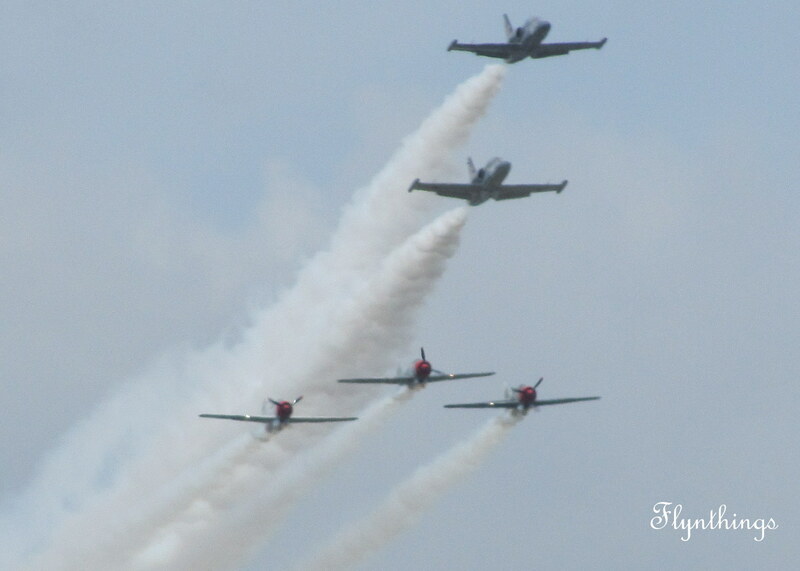 This brought back memories of my earlier visists to Oshkosh! 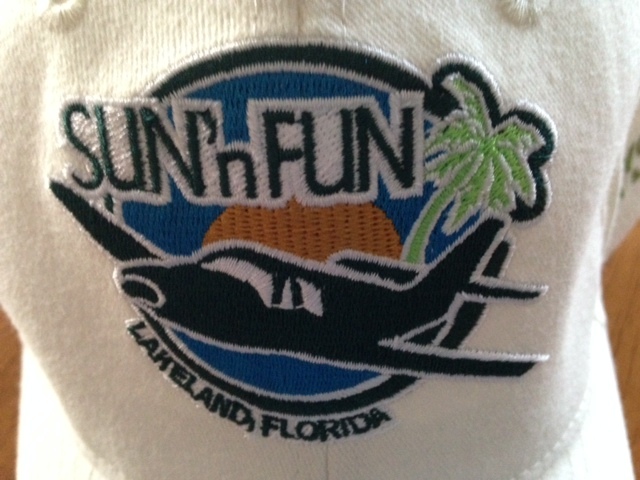 Sun ‘n Fun is a smaller affair than Airventure at Oshkosh, WI. Forums run from 9:00am – 2:00 pm at the Central Florida Aviation Academy (CFAA) which fortunately is in a building that has bathrooms. Florida Air Museum is small compared to the museum at OSH. I got to visit with some vendors, attend a couple of forums, view some displays, catch the afternoon airshow, and catch an evening movie. Unfortunately come Saturday morning, we learned about a major Sunday storm over Georgia that would hinder our return the next day despite the good weather at our origin and destination. 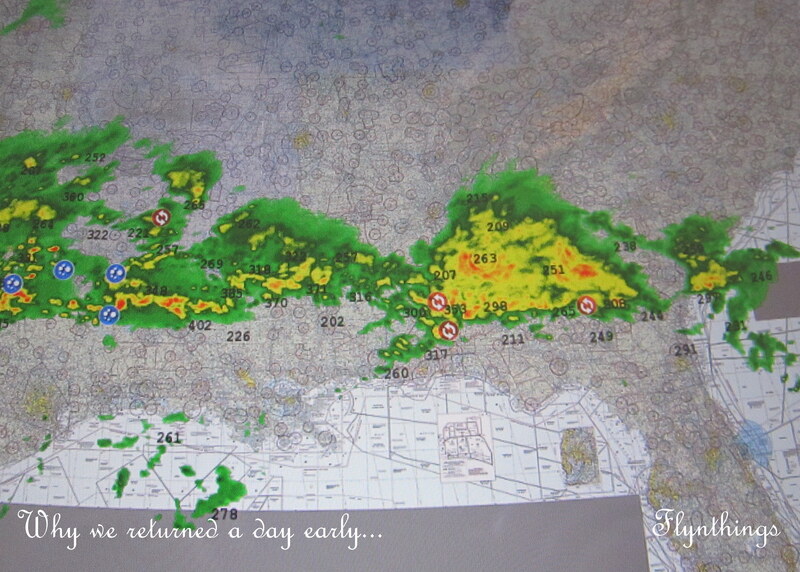 Unfortunately we expected bad weather over the Mid-Atlantic on Monday. So if we hoped to return home without a two day delay, we needed to return on Saturday. Which we did, just after the sun set. The return was fairly easy: follow flagmen to the active runway and depart. Climb for 3 nm before turning and departing the area. Unlike OSH, yet again, no one clears you. You just follow the lead aircraft and depart!